Pudget: Losing Weight On a Budget! : A New Food Find!!! I finally weighed myself this morning. I was pleased to see that after not weighing in for three weeks I lost 1 and 3/4 pounds. I wasn't completely shocked but pleased. I haven't been being as strict as I should be at this point but I have been trying to watch what I eat. I'm definitely not going to complain about my loss. I haven't been to a Weight Watchers meeting in three weeks. I didn't go three weeks ago because we were celebrating my Dad's birthday, then last week I was too tired to go and then this week I didn't have the extra money to go. Now the question is, "Will I go back?". I do love Weight Watchers meetings but I don't love the price. The price isn't that bad if you can buy the special they usually have but right now I can't afford to pay for that many weeks at a time. I guess I will just have to think about it and decide by next week. I found a great cereal a few weeks ago. I am so excited about this because normally I hate cereal but this cereal is different then any other I have ever tried. It is healthy and it tastes great. I actually even eat it as a snack. It is so good!!! The reason I am thinking about it right now is because I am out of it and am really craving it. I found it in the health food section of my local grocery store. 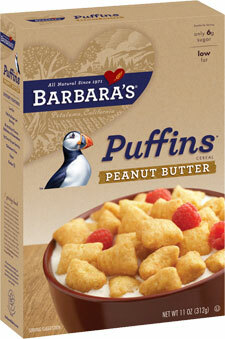 Just when I thought it couldn't get any better then Peanut Butter Puffins I visited their web-site. Guess what? It does get better! They also sell Peanut Butter and Chocolate Puffins!!!!! Can it be true? My two favorites combined together into Puffins cereal? I have to have them! They sound amazing! Seriously, wait until you try this wonderful cereal. The texture of the Puffins are so perfect and fulfilling. They are thick and crunchy. The Peanut Butter Puffins taste great, are healthy and filling. This is seriously the first healthy cereal that I have ever found that I can honestly say I love to eat. Now I really need to focus on losing these extra unwanted pounds before it starts to get warm. If I don't then I am not going to have any clothes to fit me come Spring. This would not be good. Maybe this will give me the extra incentive I need to get myself on track. 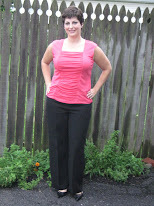 It will also remind me that their is no way I will be able to fit into this outfit unless I lose another 15 pounds. Honestly, losing 15 pounds is definitely doable and I am very excited to fit back into this outfit again. How will I get myself excited about losing this 15 pounds? I am hoping by posting these pictures and hanging up my outfit I will be motivated more. My biggest problem right now is the lack of exercise. I have not exercised in so long and the worst part is that I don't miss it. I hate to admit it but it is true. I know I just need to make myself do it. Once I get started I know that I will enjoy it (a little). I know that it will give me that little boost I need in my weight loss to keep me going. Now I have to decide what I will start with. Jillian Michaels, the treadmill, Zumba on the Wii, running? I will let you know as soon as I decide. Love that outfit. I need to get on track too. Thanks! I can't wait to wear it again this summer! Be careful with those PB Puffins. I don't normally overdo it on cereal, but Puffins are abnormally tasty. They really are good! Have you tried the chocolate peanut butter ones? I have got to find those Puffins! I love Peanut Butter Captain Crunch but I don't eat it anymore. Yum! Ooh, those sound delicious, I'm going to have to try them! 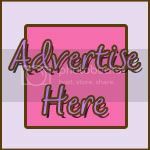 You probably already know this, but there's a $1 off printable coupon on their website! I typically mix flavored cereals with some Fiber One original (it's only 60 calories per 1/2 cup) to save some calories and get some more fiber into my diet.